A later coin with a "T" written almost as a "C" with a "T" bar on top. The reverse legend translates to "Theophilus Augustus, may you conquer." +ΘEO/FILE AVG/OVSTE SV/nICAS . Note the "T" (just below the middle dot) has the unusual shape. 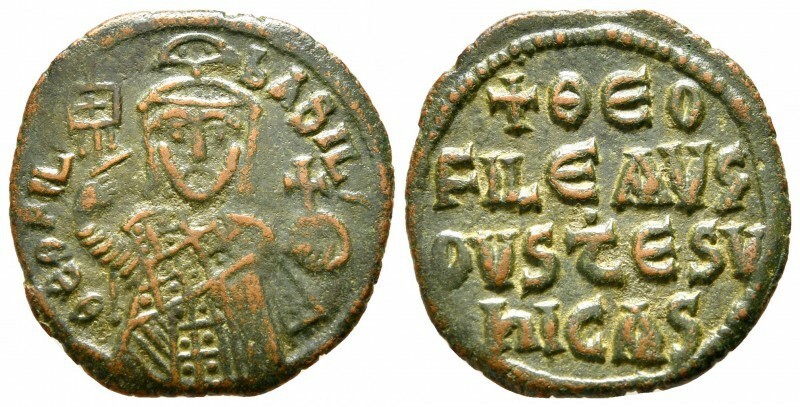 Return to the page on mintmarks of Antioch under Justinian.